Is PlanktonHolland PCI and SSL-compliant? Yes , PlanktonHolland is certified Level 1 PCI DSS and SSL -compliant. Bank transfer is a worldwide payment method. If you would like to pay your order directly to our bank account, please choose on the Checkout Page of the PlanktonHolland WebShop, Direct Bank Transfer as your preferred payment method. 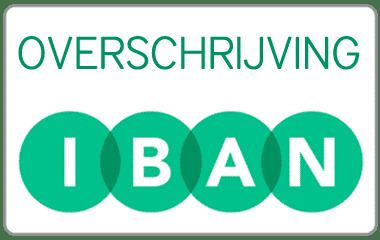 When you place your order, you will receive the details of the PlanktonHolland bank account in your browser and via e-mail. When we have successfully received the amount, we will finish your order. Please note that it may take a few days for international transactions to be processed. If you want to use your PayPal account as a payment method, please choose on the Checkout Page of the PlanktonHolland WebShop, Credit Card / PayPal as your preferred payment method and place your order. You will be redirected to the payment site PayPal. Log into your PayPal account with your email address and password. Then you follow PayPal instructions. iDEAL is an online payment method , specially for Dutch customers. Please choose on the Checkout Page of the PlanktonHolland WebShop, iDEAL as your preferred payment method. You select your bank. You are forwarded to the online banking offered by your bank, where you login as you are used to. Your payment details are already completed and all you have to do is approve the payment. Your bank immediately displays a payment confirmation. You return to the webshop and your order and payment have succeeded! GiroPay is an online payment method, specially for German customers. Please choose on the Checkout Page of the PlanktonHolland WebShop, GiroPay as your preferred payment method. You select your bank. You are forwarded to the online banking offered by your bank, where you login as you are used to. Your payment details are already completed and all you have to do is approve the payment. Your bank immediately displays a payment confirmation. SOFORT Banking is an online payment method that allows consumers to pay from Belgium, the Netherlands, Germany, Austria, Switzerland, Poland, Italy, Spain and France. Please choose on the Checkout Page of the PlanktonHolland WebShop, SOFORT Banking as your preferred payment method . The payment order is already there. You authorize the payment in the same way as with intenet banking. The amount will then be debited from your payment account and finally you will be informed that the order has been paid. Bancontact Mister Cash is an online payment method , specially for Belgium customers. Please choose on the Checkout Page of the PlanktonHolland WebShop, Bancontact Mister Cash as your preferred payment method. You are forwarded to the online banking offered by your bank, where you login as you are used to. Your payment details are already completed and all you have to do is approve the payment. Your bank immediately displays a payment confirmation. You return to the webshop and your order and payment have succeeded! ING HomePay is an online payment method , specially for Belgium customers. Please choose on the Checkout Page of the PlanktonHolland WebShop, ING HomePay as your preferred payment method. You are forwarded to the online banking offered by your bank, where you login as you are used to. Your payment details are already completed and all you have to do is approve the payment. Your bank immediately displays a payment confirmation. You return to the webshop and your order and payment have succeeded!